What do Whoville, Bullitt, General Lee and the Monkees all have in common? 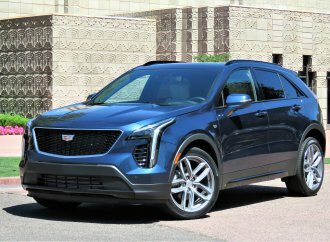 Each of them has a Hollywood connection and a signature vehicle that will be among the featured cars from TV and movies. What do Whoville, Bullitt, General Lee and the Monkees all have in common? 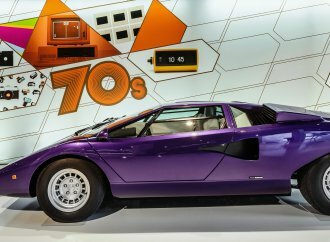 Each of them has a Hollywood connection and a signature vehicle that will be among the featured cars from TV and movies in this year’s EyesOn Design Automotive Design Exhibition. 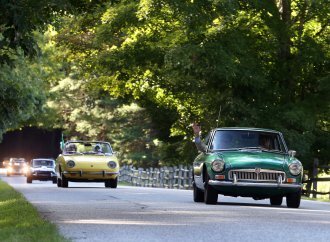 The 27th annual car show, which emphasizes unique and important automotive designs, starts at 10 a.m. on June 15 at the Edsel & Eleanor Ford House in Grosse Pointe Shores, Michigan. 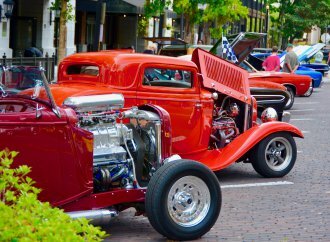 More than 250 vehicles in a number of special classes will be on display. 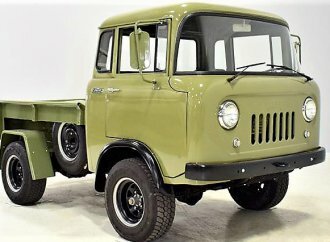 Some of the vehicles on display will be the actual one that appears on screen, while others are exact replicas. Whoville Family Sedan from “How the Grinch Stole Christmas” (2000), a cartoon creation on wheels. 1968 Ford Mustang from “Bullitt” (1968), a replica of the dark green GT 390 fastback driven by Steve McQueen in the classic chase scene. 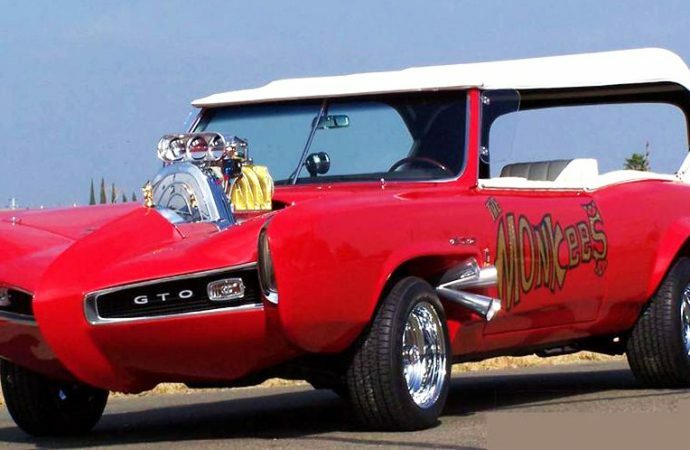 1966 Pontiac GTO from “The Monkees” TV series (1966), designed by California car customizer Dean Jeffries and known as the Monkeemobile. 1975 Ford Gran Torino from “Starsky & Hutch” (1975), a replica of the red muscle car with white stripes driven by the California cop TV series. 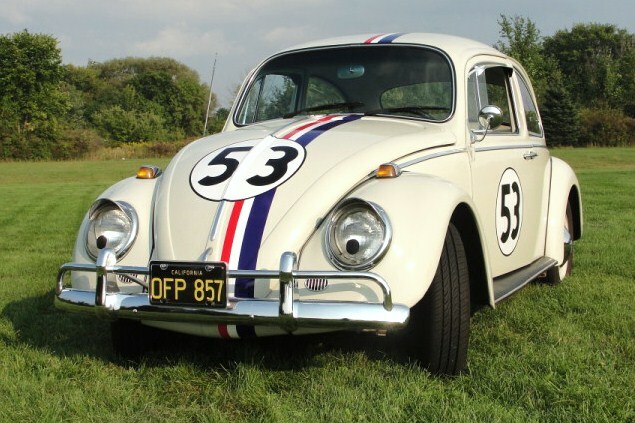 1965 VW Beetle that starred as Herbie in “The Love Bug” (1969) with its famous 53 racing number. Winton Flyer from “The Reivers” (1969), a one-of-a-kind fictional vehicle designed to look like a 1904 car by the legendary artist and car craftsman Kenneth Howard, aka Von Dutch. 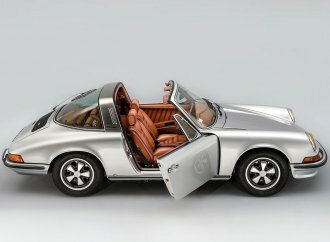 This car was driven in the movie by Steve McQueen and later owned by him. 1966 Chrysler Imperial (“Black Beauty”) from “Green Hornet” (1966), also created by customizer Dean Jeffries, it starred in the TV series with Van Williams and Bruce Lee. Leslie Special from “The Great Race” (1965), driven by good guy Tony Curtis in the Warner Brothers movie, a gleaming white roadster loosely designed after that 1907 Thomas Flyer that actually won the real “Great Race of 1908” from New York to Paris. 1977 Pontiac Trans Am from “Smoky & The Bandit” (1977), the black T-top Trans Am driven by Burt Reynolds in the smash hit Universal Pictures movie, which made $300 million and almost doubled the sales of Trans Ams. 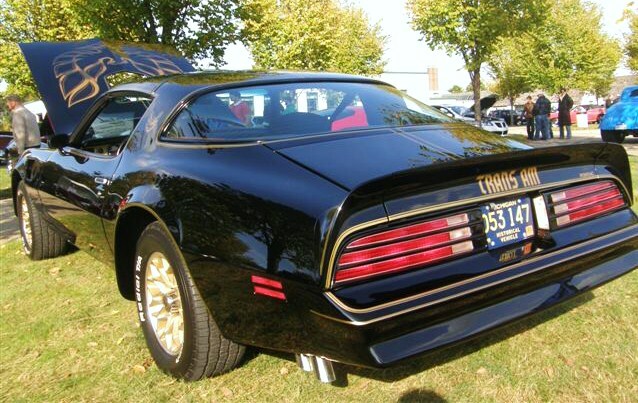 1982 Pontiac Trans Am (“K.I.T.T.”) from “Knight Rider” (1982), a replica of the advanced supercomputer in a bullet-proof body on wheels that could communicate with humans, drive itself and shoot flames and tear gas in the TV series. 1996 Nissan 240SX from “Fast & Furious IV” (2009), one of many customized cars used in scenes from the Universal Pictures action movie. 1969 Dodge Charger (“General Lee”) from “Dukes of Hazzard” (1979), the famed orange Dodge with a Confederate flag on its roof and the racing number “01” on its doors from the popular TV series. For more information about the EyesOn Design show, see www.eyesondesign.org.